‘The Texas Chainsaw Massacre‘ came out in 1974 and became one of the scariest and most inspired film ever made. It paved the way for so many filmmakers down the road, that we’ve seen elements in almost every horror film since then. Filmmaker Tobe Hooper was cemented into the horror cinema favorites back then. In the 1980s, he made a sequel, which was tonally and visually different, but was still met with great praise and like its predecessor, became an instant cult classic. From then, there have been a string of sequels, remakes, and prequels, all of which have received mostly poor critical acclaim. Nobody seems to be doing anything right with this franchise. That might all change with this upcoming ‘Leatherface‘ film, which is set to be a prequel leading up to the original events of the 1974 ‘Texas Chainsaw Massacre‘. 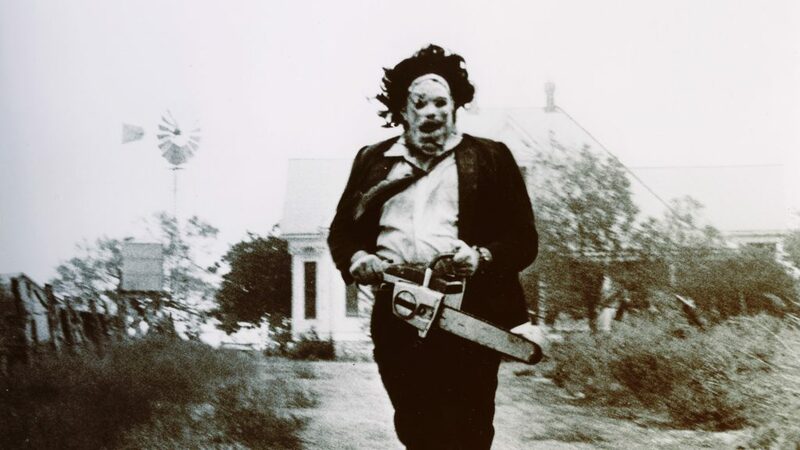 There was a film back in 1990 that was titled ‘Leatherface‘ and was the supposed third entry into the ‘Texas Chainsaw Massacre‘ franchise, but it was neither a financial or critical success, and is often forgot about. The most recent film was ‘Texas Chainsaw 3D‘, which was a terrible film, with the exception of the opening scene, which took place seconds after the original 1974 film ended where Leatherface was having a meltdown with his chainsaw as Sally escaped alive. After that, the film crashed into the mountain. This year though, we are getting that ‘Leatherface‘ prequel, which will be Leatherface’s origin story, directed by Alexandre Bustillo and Julien Maury who made the amazing foreign horror flick ‘Inside‘. If you’ve seen this film, you would know why there is a glimmer of hope with this prequel. I’m not holding my breath though. According to BloodyDisgusting, this prequel film will follows Leatherface as a teenager who escapes from a mental hospital. I’m sure we will find out his first kill and how he started wearing human face masks and how he chose the chainsaw as his weapon of choice. Writer Seth M. Sherwood said that there would be a new character introduced into the mythos by the name of Ted Hardesty who will be Sally and Franklin’s father. All that being said, there is still no release date for ‘Leatherface‘ yet. 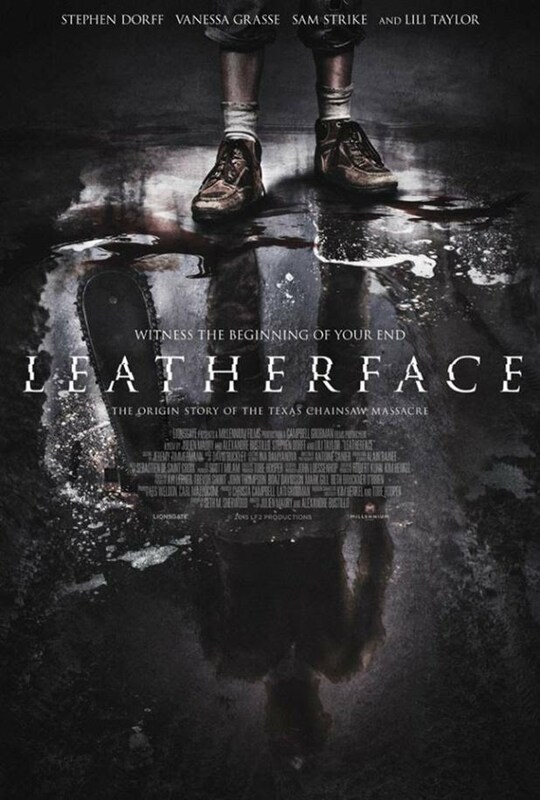 This ‘Leatherface‘ film follows four inmates who escape a mental hospital, where one of them becomes the infamous ‘Leatherface‘. The four escapees kidnap a nurse, where a crazy police officer (Stephen Dorff) is on their trail. Let’s hope Lionsgate releases this film around Halloween time and doesn’t interfere too much with the creative people. We very much need a good ‘Texas Chainsaw Massacre‘ film, but I’m afraid we won’t get one unless Hooper himself comes back to direct or Quentin Tarantino writes the script. Original “Texas Chainsaw Massacre” Director Returns to the Director’s Chair To Make DJINN!! This entry was posted on Wednesday, February 8th, 2017 at 2:17 pm	and is filed under Film, News. You can follow any responses to this entry through the RSS 2.0 feed. You can skip to the end and leave a response. Pinging is currently not allowed. « ‘Star Wars’ Spoof Is Coming to a Galaxy Near You! [after kissing Roy] Be careful. Tell Rathbone to be careful!